Chevrolet’s crossover plans are starting to come into focus: the 2017 Chevy Equinox will make the move to General Motors’ D2XX platform, thereby shrinking in size to that of true compact CUV, while the 2017 Chevrolet Traverse — also expected to be all-new — will remain a full-size crossover riding on a stretched version of the C1XX platform. 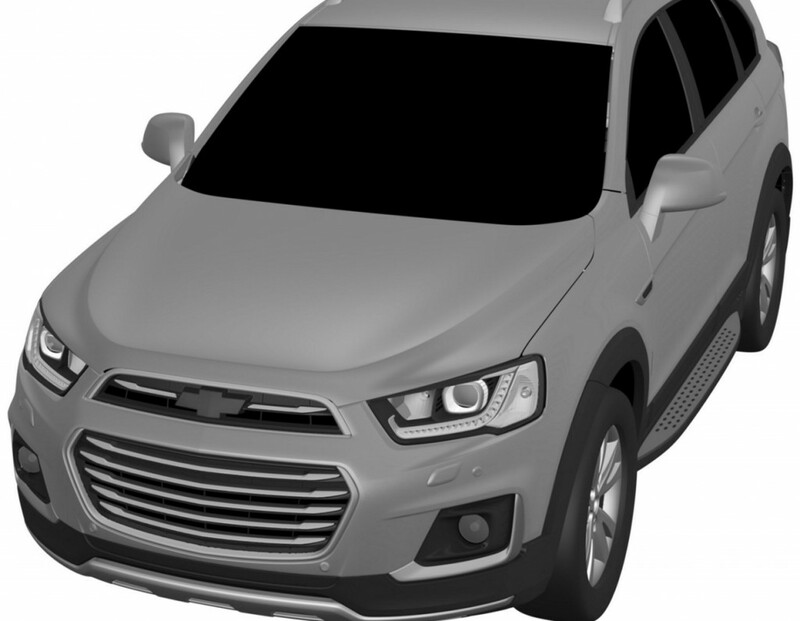 Previously, we reported that Chevy is working on a new midsize CUV to fill the space created by repositioning the Equinox from a tweener (compact-midsize) to a true compact. Enter the patent drawings seen here, which GM’s South Korean arm recently filed with Europe’s Office for Harmonization. Though some have pegged them as previewing what’s to come in the form of the upcoming midsizer to slot between the new Equinox and Traverse, the sketches are actually of the recently-facelifted Chevrolet/Holden Captiva, rather than an all-new vehicle. To note, Captiva rides on an updated version of GM’s Theta platform shared with the second-generation Chevrolet Equinox. On sale in various international markets under the Chevrolet and Holden brands, the crossover straddles the compact and midsize segments from a size standpoint, while offering three rows of seating, a feature not offered by the North American-market Chevy Equinox. In addition, the Captiva pictured here and sold overseas is mechanically related but substantially different from the Chevrolet Captiva Sport sold in North America to fleet customers through the 2015 model year. The Captiva Sport was a rebadge of the second-generation Saturn Vue and was also sold as the Opel-Vauxhall Antara in Europe. 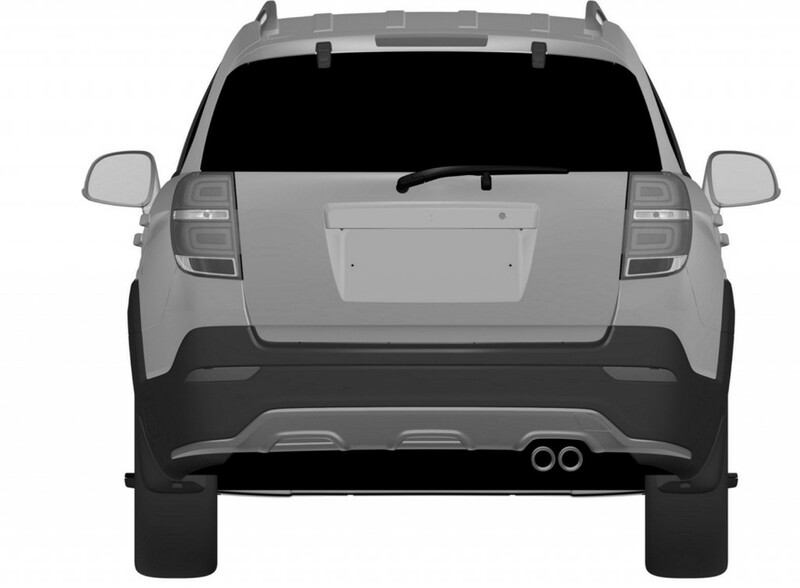 Even so, we expect the new crossover that slots between the 2017 Equinox and 2017 Traverse to bear no relation to the vehicle seen in these patent illustrations… though we wouldn’t mind it if it did, as the international-market Captiva is quite attractive. Does that mean it’s the new mid-size CUV, who knows. I was hoping it would be the Acadia’s sister, especially after seeing the 2017 Acadia in person. Seems like the right size vehicle for a TrailBlazer replacement. I wonder if it will be fleet only. Looks a lot like the current Captiva. Pretty non-descript with nothing to distinguish it against current competition. It looks like a Captiva mated with Sonic with Camaro cues. It’s too busy with no sense of design language direction. The from facada of Trax looks far better.. I have an Equinox, and I strongly doubt that this CUV will take over the sales of the present Equinox, GM second best selling vehicle for over eight years. The new Gen 3 Equinox will keep that position. The new face lifted Chevy Caltiva is still based on the theta last form and is almost identical to the previous 2011 face lifted model. Wondering if this is another example of Ruess embracing evolutionary design? Nox in it’s current form sells well, especially given it’s age aa. I could see GM aiming to evolve the current design on one of it’s four new SUVs.